We don't encourage you to go out and buy plastic drinking straws to make this picture frame, but if you have any lying around you might want to use them up in the craft and save them from ening up in landfill - or our oceans. 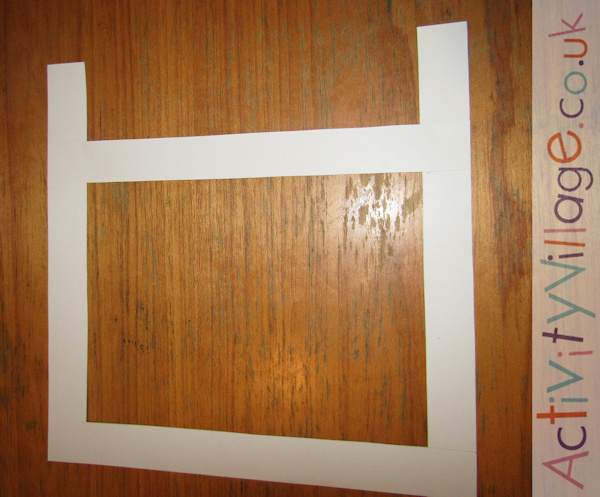 Cut 4 strips of card and arrange them to form a frame to fit your picture. Tape or glue the corners together and trim away any extra. Making the card frame. It is ready for trimming. 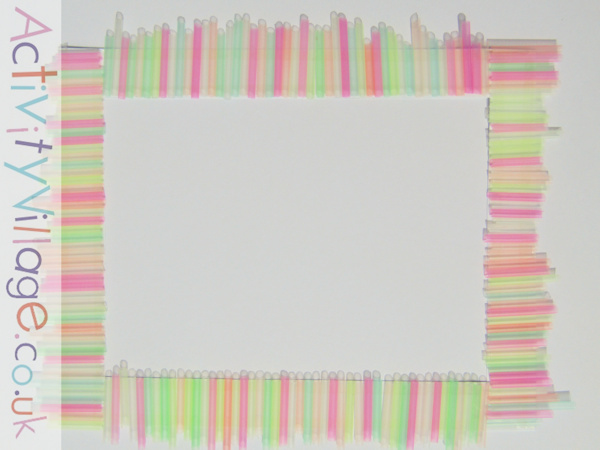 Cut the drinking straws into small lengths to fit the width of the frame. Cover one side of the frame with double sided tape or glue and stick on the drinking straw pieces. Repeat a side at a time until the frame is covered. Attach your picture to the back of the frame with tape. 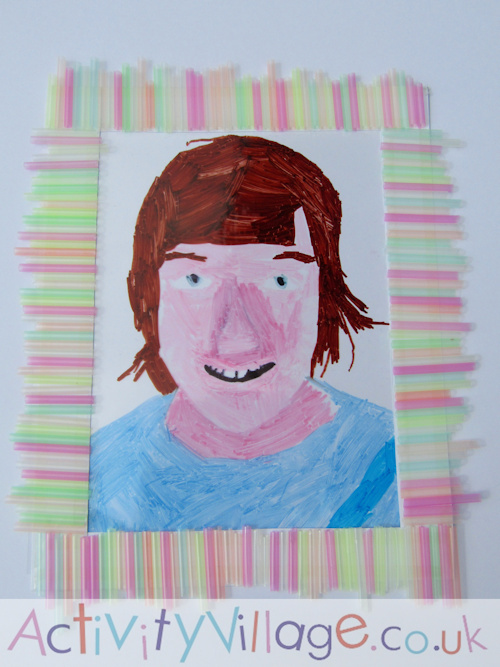 Sam's finished suncatcher self portrait, framed with his drinking straw picture frame. Is Dad forever losing his keys? Why not make him a tray to put on the hall table so that he can empty his pockets when he arrives home? Dad will always be able to find his keys and his loose change, and Mum will have fewer grey hairs!